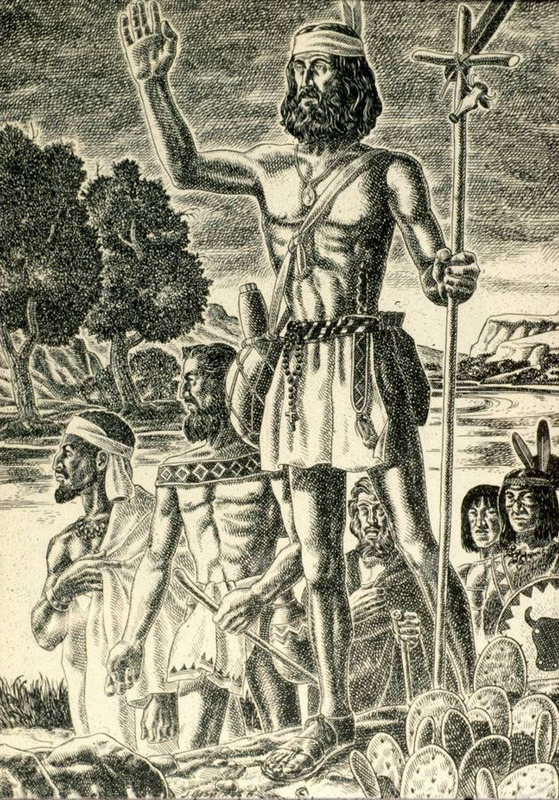 Cabeza de Vaca and his companions passing through the Big Bend country of Texas. During their long journey in Texas, the Spaniards had become successful healers and traders and effective hunters and gatherers. Drawing By Jose Cisneros. Image courtesy of the artist.